The success of Hooper Welding for over 50 years can be directly tied to the commitment to technological advances and investment within the company. As customers and their projects continue to demand greater complexity in size, thicknesses, materials and metallurgy, Hooper Welding has continued to support the changing tides of industry. The challenges are met by dedicated people whom are ready to innovate and solve the problems associated with the dynamic marketplace. Through the development of procedures, addition of equipment, expansion of facilities and the investment within our people, Hooper Welding develops a solution that works. Hooper Welding staffs professionals and experts to provide the best products through its skilled design engineering, drafting and comprehensive weld procedures. The comprehensive technical staff of engineers is capable of providing mechanical design calculations, thermal design calculations, finite element analysis and construction drawings using the latest engineering programs available. Through the use of a variety of carbon steels, chrome moly steels, stainless alloys, clad product, weld overlay and exotic materials, Hooper Welding has the ability to manufacture to your most stringent service requirements. Years of experience allow hundreds of weld procedures and weld processes to be available at our fingertips. With constant changes to metallurgy, new weld procedures and processes are added on an ongoing basis to support each unique customer and project. 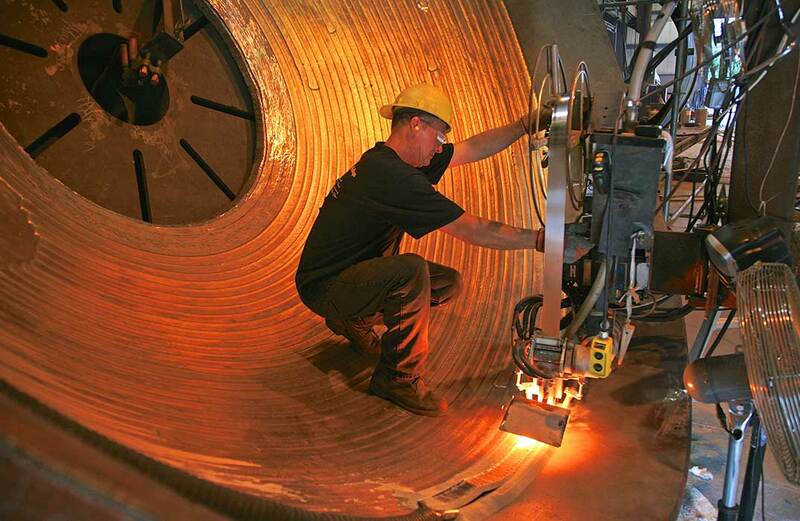 Hooper Welding has a complete staff of professionals capable of handling your every need. From design, engineering, logistics planning to project management, we have the ability to produce and deliver projects large or small to your exact requirements. Expert in mechanical and thermal design of ASME pressure equipment. State of the art, Plate Rolling equipment with capacity to meet most requirements. Capacity to cold roll up to 8.25” thick plate. Strategic Facilities Located on International Waterways, Serviced by National Railways & Major Highways Over 80,000 square feet of fabrication facilities with 15 overhead cranes (up to 150 tons lift capacity) 10 acres outdoor storage yard, and multiple covered storage facilities. North America’s best facility for design and manufacture of the high pressure, high temperature, very large, custom built, complex pressure equipment. If it can be shipped, we can build it. High pressure & heavy wall manufacturing up to 12” thickness “If it can be shipped, we can build it”. Design & Manufacture of ASME Pressure Equipment, Vessels & Columns… Limitless to size, weight and material grade, to any international standard or specification with best in quality and reliability. U-Tube, Shell & Tube, Rotating equipment or Fixed design; engineered & manufacture to standards and client requirements. 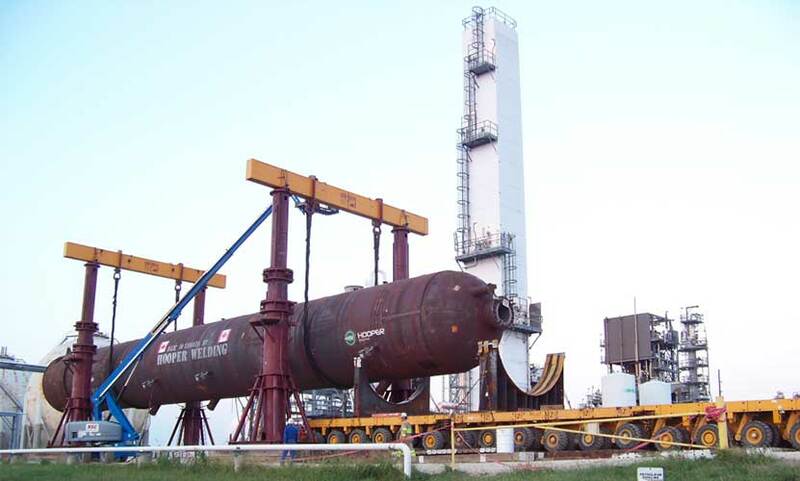 Custom design of skid mounted vessels, supplied complete with valves, piping & instrumentation. 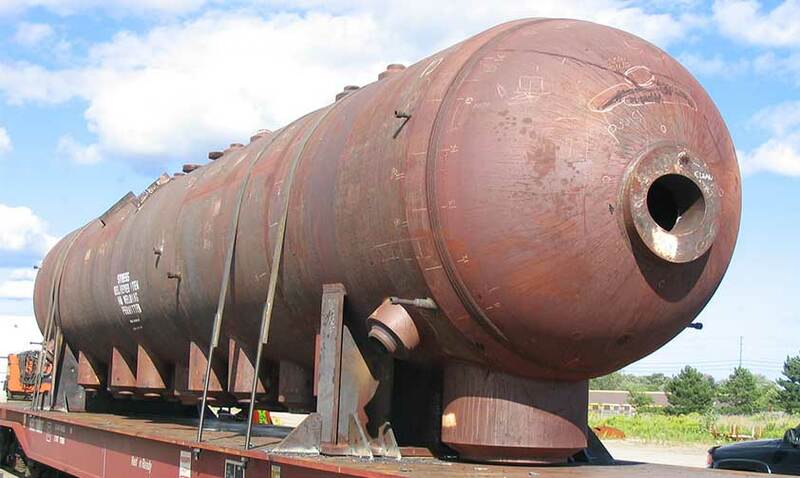 Weldments, Piping, Structural, or storage containment for Nuclear Power facilities.